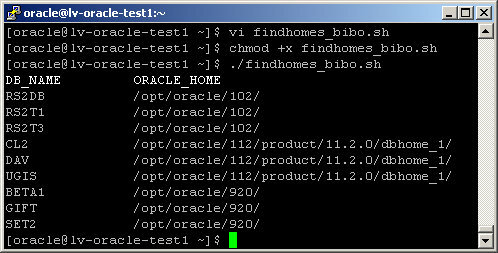 After DB consolidation on one host it is hard to remember how many $ORACLE_HOME and home many databases under each oracle home. You can find some other scripts in Internet and Oracle written script also, but I prefer my script because output is simple for understanding. this working if DBA is not lazy to enter 1 row in expected format if DB created manually or cloned. If created by DBCA - row will be already there.